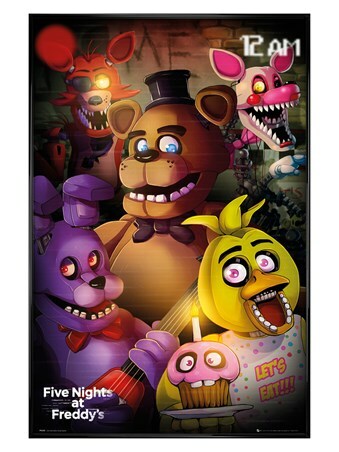 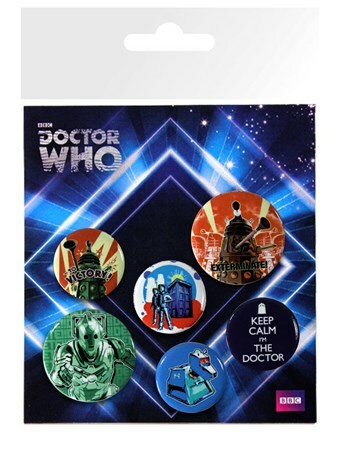 Television Badge Pack: Make sure you are prepared for the return of the Cybermen and the Daleks with this awesome badge pack which features six sensational designs from the iconic Doctor Who series. 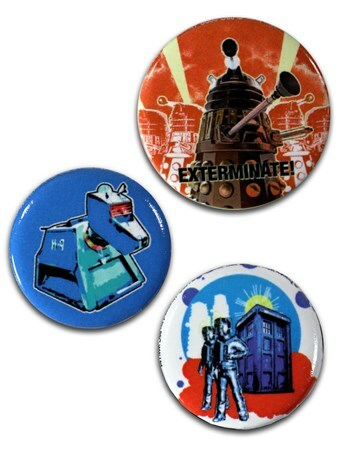 In a cool retro style, these badges come in two sizes and show the Daleks as they prepare to "Exterminate", the creepy Cybermen, the Doctor's dog K-9 and the iconic Tardis telephone box. 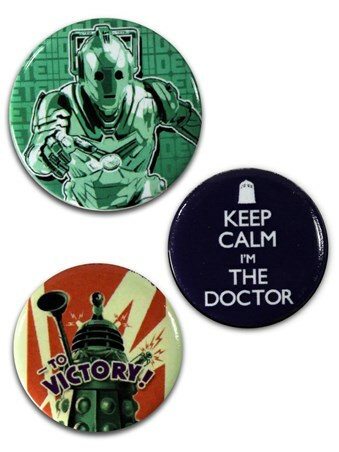 Perfect for sci-fi fans of all ages, these awesome badges are the perfect way to brighten up your favourite backpack or jacket. 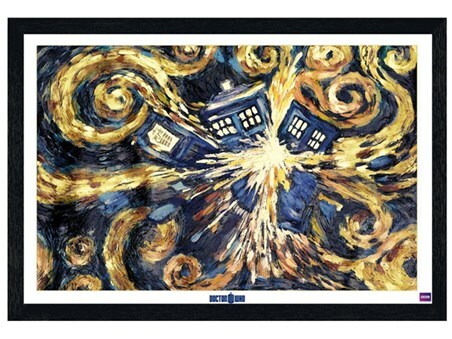 High quality, framed Dr Who Retro, Doctor Who badge pack with a bespoke frame by our custom framing service.